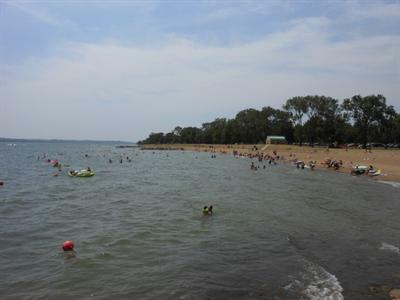 Lewis and Clark Lake, near Yankton, is one of the state park system's most popular resort parks. Campgrounds along the shore of this modern recreation area draw visitors from throughout the Midwest. 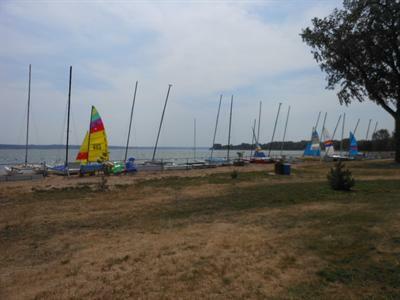 Modern resort facilities - from marinas to camping cabins to sandy beaches - attract water lovers to the Lewis and Clark Recreation Area. 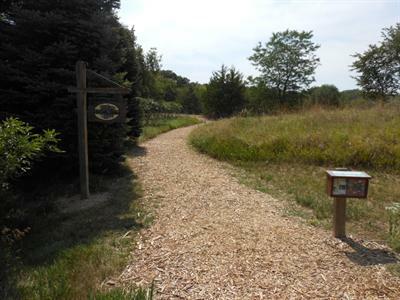 Planning for your stay at Lewis and Clark Recreation Area takes just a few minutes when you use the online reservation system. It's secure and ready when you are. All sites are electrical, with an upgrade to a prime waterfront site available. 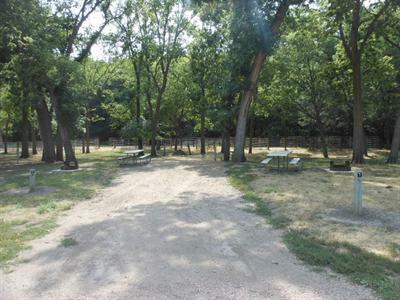 Equestrians may opt for the Horse Trail Campground. Cozy one-room, log-style cabins are open year-round. Accommodations for four people include a set of bunk beds, double bed, table, benches, air conditioning/heating and electricity. 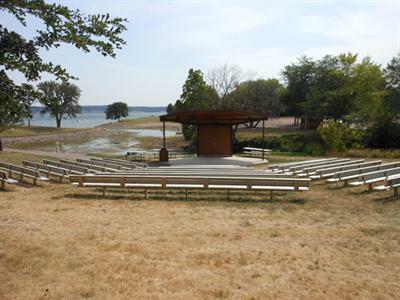 Lewis and Clark Recreation Area has all the amenities to enjoy the lake: beach, boat ramp, fishing dock and ski beach. 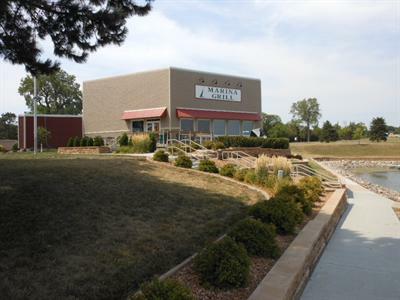 South Dakota's largest marina is located on the grounds of the park. 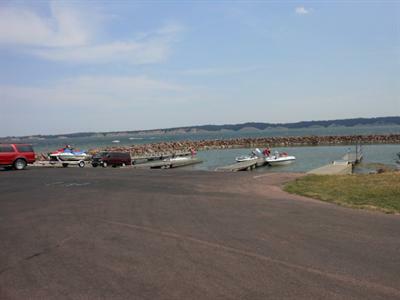 Lewis and Clark Resort & Marina is privately operated and features nearly 400 boat slips. The resort opened in 2012 with cabins and motel rooms encircling a sparking outdoor pool. For trips outside the park, nearby attractions include the Gavins Point National Fish Hatchery and Aquarium and the Lewis and Clark Visitor Center adjacent to Gavins Point Dam. If you are a native South Dakotan looking to take advantage of affordable public cabin rentals for your family don't bother looking here. The cabins are booked at least 3 years in advance during the summer, and if and when you happen to check back, they are likely to be booked again. First, the staff is wonderful! The sites are large and have enough room between them. The views are great! Comfort stations are clean and well kept. Great place for a weekend or longer! Always an awesome trip to lewis and clark. Staying here has become a yearly tradition for a small family getaway. Our 1st camping experience at Lewis and Clark was in the early 90's. We have been going back most every year at least once. What we like best is the large open areas. 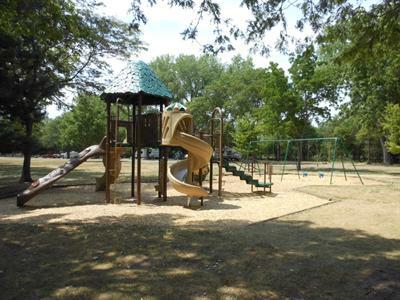 The swimming beaches are nice and the play areas are great for the younger children. We have camped at all the camp grounds at least once and they are all nice. We have camped at State parks in Minnesota and Iowa,and we like the size of the camping pads here best.